I want to share the following commitment to diversity that has been created by the School’s Diversity Committee. It has been in various stages of development for some time. The committee worked under the leadership of Chris McLaughlin and Audrey Williams to create a statement of diversity focused mostly on recruitment and hiring, but it never quite managed to receive everyone’s full support. The idea for some kind of written commitment surfaced at the Strategic Foresight Lab last summer and the newly-formed Diversity Committee (co-chaired by Alyson Grine and Sonja Matanovic) decided to make it a renewed priority. 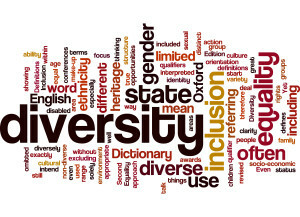 After looking at many different diversity statements, including the earlier work of the committee, Katrina Hunt, Frayda Bluestein, and Sara DePasquale drafted the language that follows. The full Committee on Diversity reviewed, discussed, and enthusiastically endorsed it. Thanks to everyone involved for their good work on this document. The Commitment tracks three areas on which I asked the Diversity Committee to take action: (1) creating a culture of inclusion; (2) recruiting and hiring a diverse workforce; and (3) welcoming diverse experiences and views in our teaching, writing, and advising. The Commitment will be located in various places on the School’s website, including a “Diversity at SOG” microsite that is being created. I wish the commitment reflected in this document was unnecessary. In some ways it asks so little of us. All individuals should be respected and valued. Our environment should be inclusive and welcoming for everyone—without exception. Our intellectual environment should be a mutually respectful one in which diverse experiences and opinions are valued. We should recruit and hire a diverse workforce. And we should value the contributions of all School employees without regard to status or seniority. A lot has been written about HB2, and more will be written and said in the coming days. I don’t understand all of its legal implications. Here is what I know, however. It will not change how we treat anyone at the School of Government. I’m sincerely sorry if this law causes any of my colleagues to feel less valued or at risk in any way. You are valued by me and I hope by everyone at the School, and recent events make this Diversity Commitment even more important. My plan is to adopt the following Diversity Commitment as recommended by the Diversity Committee and to place it on our website. I hope everyone at the School feels like they can embrace it. I’m also willing to have a broader conversation about the Commitment if folks believe it would be helpful and desirable. I hope you will feel comfortable sharing your feelings about the Diversity Commitment and any related issue by commenting on this particular blog post. The School of Government, in pursuit of its mission to improve the lives of North Carolinians, and as a unit of a public university, is committed to maintaining an educational and work environment in which all individuals are respected and valued. The School is committed to providing an inclusive and welcoming environment for our employees, our students, and the public officials and citizens for whom we provide education and services. 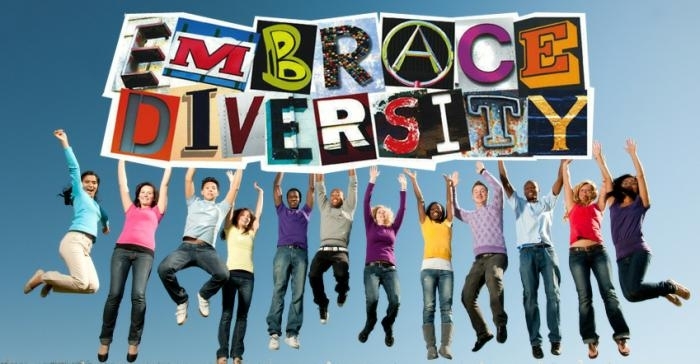 The School values and respects diversity in its many forms, including race, ethnicity, national origin, economic background, regional identification, disability, religious affiliation or spiritual affinity, political affiliation, gender, gender expression, sexual orientation, age, and veteran status. Consistent with University policy and with the School’s educational mission, we recognize that education takes place most productively among people with an array of social and cultural backgrounds, economic circumstances, personal characteristics, philosophical perspectives, and life experiences. The School is committed to creating and maintaining a mutually respectful intellectual environment in which diverse opinions and experiences are valued. Through our teaching, writing, and advising, we recognize the importance of identifying and understanding the various needs of North Carolina’s diverse populations. The School’s MPA Program has integrated its diversity philosophy into its competency-based curriculum. 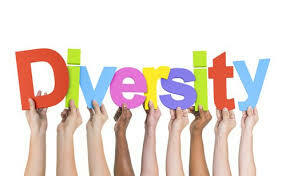 Learn more about MPA program’s diversity philosophy here. The School is committed to recruiting and hiring a diverse workforce. A diverse faculty and staff within the School of Government allows for a range of experiences, backgrounds, and perspectives, which allows the School to better serve North Carolina citizens and the officials who serve them, as the population of our state becomes increasingly more diverse. In collaboration with the University’s Equal Opportunity Office, we work to identify and attract diverse candidates for faculty and staff positions at the School and take into account the current diversity of its faculty and any underrepresentation that may exist. As an organization, we value the contributions of all employees and have embraced a philosophy of transparency, support, and inclusiveness in our interactions with coworkers. While each of us plays a different role in the School’s work, we recognize the expertise and effort that each person contributes. We place great emphasis on open and effective communication among employees, regardless of status or seniority. We believe that excellence, diversity, and inclusiveness go hand in hand. In making hiring, student selection, educational, and operational decisions, the School embraces diversity as one of our priorities. I fully endorse this statement of commitment to honoring diversity in our workplace and hope we will display it openly, frequently, and with pride. As a former employee of IBM where diversity was embraced and valued, I have and will continue to embrace and value diversity. It’s terrific and I fully support it–thank you to all who worked to put the statement together and to everyone who will help make it meaningful, me included–a straight, mostly white, older southern male with rural NC roots. I am enthusiastically supporting the SOG Diversity Commitment. This is so refreshing after the recent developments of HB2. This is an excellent step & I want to recognize the work of those on the committee because I know from experience these statements take time/effort. Thank you for that work. I look forward to seeing how the commitment is actualized across departments. Kudos and thanks to the Diversity Committee. The commitment is thoughtful, powerful, and inspiring. I propose we post it publicly in the building, to serve as a recognition and encouragement to all of us and to our clients. I know from experience that it takes intentionally cultivated consciousness to achieve and uphold this sort of commitment. Reminders (of our better selves) are good. I like the idea of posting it, Gini. Will you work on finding the right place for it? I fully support the commitment. We need to not just commit, but act in accordance. I think we do most of the time, but its important to check ourselves periodically — are we taking practical steps to “identify and understand the various needs of North Carolina’s diverse populations?” How do we place “great emphasis on open and effective communication among employees, regardless of status or seniority” etc.? Great work of the committees that started and continue this work! Excellent work. Thanks to all who contributed. Excellent work, and I fully support it. I look forward to seeing how we build on this commitment in our actions and our deeds. Maureen asks some really good questions we could explore. I first arrived at SOG eight months ago, no one ever told me that there is a campaign for diversity until my luncheon with Dean Smith. In many ways it was apparent from my many interactions with faculty and staff. I had an opportunity to continue looking for positions that was more in line with my degree. I choose to decline because of how much I enjoyed my work experience at SOG. I feel as though SOG provides a positive work environment and a great learning opportunity for me to continue learning professionally among a diverse community. I also feel as though leaving SOG would turned into one of my life regrets. So I have brought into SOG goals on assisting North Carolinian and our stands on diversity. As a team member of SOG I feel as though we are headed in the right direction. Change takes time and commitment. Thank you SOG. GREAT JOB SCHOOL OF GOVERNMENT!! !